How do you improve conversion rate and online sales? You don’t have to stick to only one way of accomplishing a sales goal. For years, Internet marketers have touted SEO and finding the right combinations of keywords to be the best way to boost your website up in the rankings and increase your online sales. For the most part, this was true, but now things have changed. If you’re scratching your head at “conversion optimization” you need to know that this new tool is critical for you as you work to improve sales. You’re not throwing SEO out the window. Instead, you’re going to be combining it with conversion optimization. Google’s algorithm changes have done more and more to make both of these processes critical to each other. How is your website set up? Do you have merchandise displayed so customers can order and buy? Do you mainly feature content (articles, blogs) for customers and visitors to read? What about social media and social context? Finally, how fast does your site respond to customers’ clicks and commands? 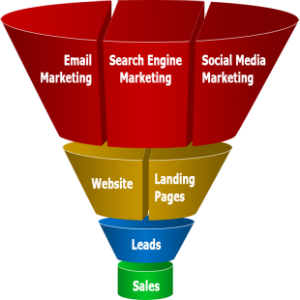 Each of these factors affects your conversion rate optimization or CRO. While Google’s updates have pushed some websites far down in the rankings, if you’ve weeded out substandard content and updated your sales pages, your website shouldn’t suffer. 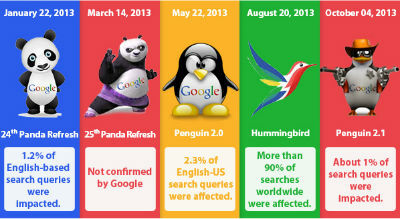 The purpose of all the updates has been to improve web search experiences for visitors to different websites. Anyone who has something to do with a website knows about some of the more famous of Google’s updates. Panda penalized websites for thin content and sites with overly aggressive ad placement. Penguin targeted unnatural link profiles. Hummingbird improved conversational search or the meaning behind the words entered on a search query. The Vince update was pushed out in 2009 to take brand trust into account. This had more of an impact on general searches. Does site speed matter? Definitely! If you want visitors to stay on your site, you want pages to load quickly with no hang time. If your site is loading more slowly than that of one of your biggest competitors, you may be losing customers to other sites. This too can affect conversion optimization. It won’t help you to improve sales if impatient customers are going elsewhere. Google’s Social Search, along with other tools, can help you to get more personalized results, such as photos you posted to your Google+ account. The new tools also help you find the profiles of people you’re interested in connecting with. When you take the updates, your site’s speed and the social media context you have added to your site into account, you’re more likely to affect your CRO in a positive way. This also affects your site’s SEO because Google now has several tools it can use as it crawls the millions of pages that have the same keywords your site has. When it comes to your conversion optimization rate, SEO plays a role in bringing potential customers to your website`s home page or any other landing pages. The intent of visitors to your site affects what you want them to see. If Visitor A is just browsing around, but Visitor B is ready to buy, credit card in hand, you need to focus on the buyer rather than the browser. This is called segmentation. It’s a conversion tool that can help to increase your site’s sales. You want to convert people who are ready to buy. At the same time, you may have another category of visitors that is ready to be converted as well. Accomplish this by loading smart content to your website. This is targeted content that helps to educate and convert visitors who may not be ready to buy. Website traffic is useless if you don`t convert visitors into customers – and that’s where Conversion Rate Optimization is required. Without Conversion Optimization, all the SEO in the world will, at best, increase your traffic levels, but NOT your conversion rate. Fortunately, the principles of SEO and Conversion Rate Optimization are totally compatible and play well together. Are you frustrated by the conversion rate on your site? Watch How I Create Stunning Sales Letters That Will FORCE People To Give YOU Money!